Fighting to reclaim their neighbourhood, the lives of a sleep-deprived new parent and his civic-minded wife begin to unravel. 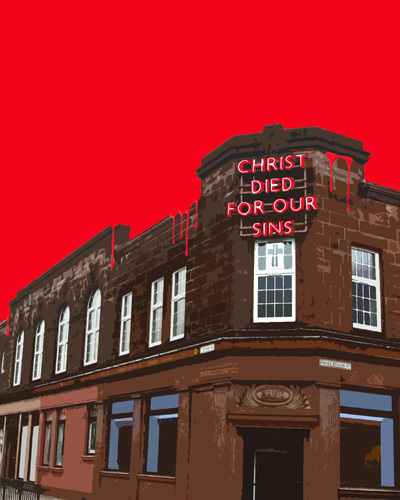 Meanwhile an ambitious Hutchie boy, a pair of young missionaries, a performance artist and her alter ego and an unscrupulous property manager, are forced to confront their monsters.Directed by Dominic Hill, Fever Dream: Southside is a surreal comic thriller and major new production by Glasgow-based writer Douglas Maxwell. If you are deaf or hard of hearing, we want to make sure you can enjoy the best night out at the Citizens Theatre. Find out more about the Deaf Theatre Club.